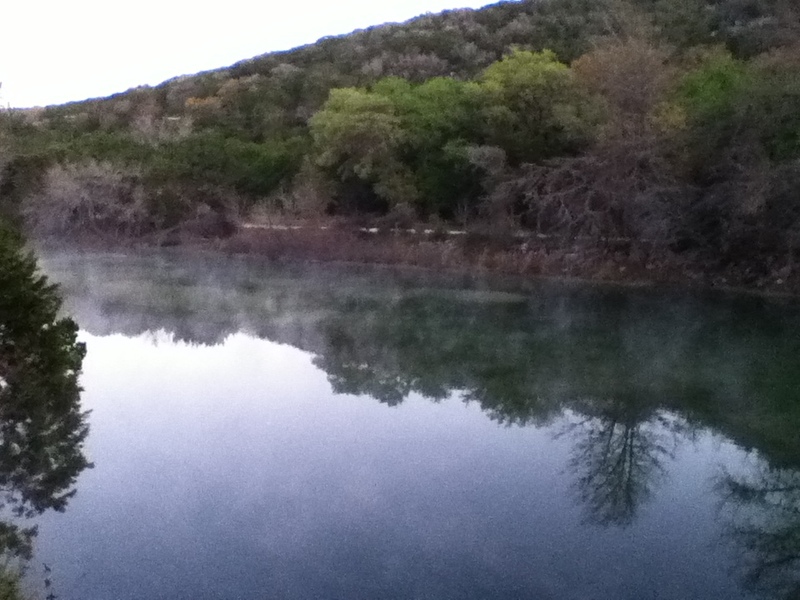 F is for Frio — as in the Frio River. 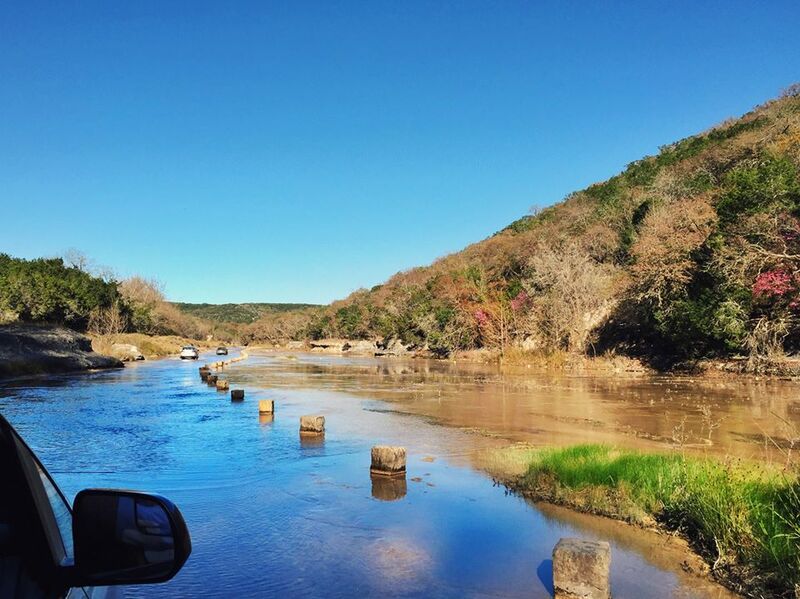 Every time I think about Laity Lodge and the Frio River, these words scroll across my mind – A river runs through it. Because a river runs through the canyon and is such an integral part of the Laity experience. We drive through the river to get to the lodge. We can sit on the balcony to look at the river and listen to river. Our view from the bluff looked down on the river and we could see how it wound its way through. Years ago, I happened to catch the movie, A River Runs Through It, when it was shown on television. It is rare when I sit down to watch a whole movie unplanned, but something about it drew me. Something about it lingers, still today, in my heart. Perhaps it was the mention of grace. Perhaps it was the art, the stunning beauty of Montana. Perhaps it was the human drama of a family and brothers and self-destructive behaviors and grace again. Rivers run through our lives. They draw us together. We can stand in their waters side-by-side. We can feel their coolness and refreshment. We are washed clean in them. I love the peace of the river, whether walking by it, sitting by it, or drifting down it. Wonderful piece. Thank you. Yes, yes — peace like a river. I forgot to include that. I liked that rhythm of your words. Today was so hectic and your words were like the river, itself, slow and winding. 🙂 I saw that movie and loved it as well. In Pennsylvania we have three rivers: Allegheny, the Monongahela and Ohio. I’m most familiar with the Allegheny, and it’s beautiful. Where is Frio River? The Frio River is in Texas. I go to a retreat center called Laity Lodge somewhere in the wilds of Texas. It’s one of my favorite places on earth and it’s set on the Frio. I’ve been to Pittsburgh and seen the three rivers come together. Yes, they are beautiful. It looks like a pleasant spot. Lovely, Sally, especially the quote at the end. I have always wanted to see that movie, the title has always intrigued me, the way it did you. I’m so glad your time at Laity Lodge was so memorable!